I have been going through Folkflore on the PS3. It’s such a classic! 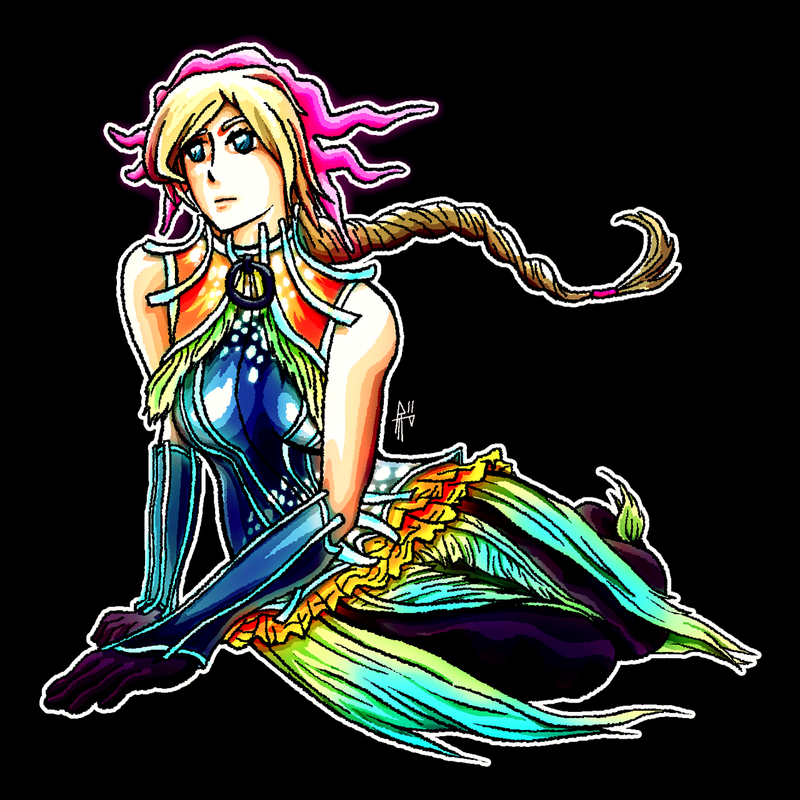 The art is phenomenal and I just had to draw Ellen in my personal favorite costume – the Cloak of the Deep. The design for the costume is flawless in my opinion so I had to attempt to do it justice. This piece took about 4.5 hours from start to finish. Time sure flies when you’re having fun! If anyone wants to see the process, I’ll be posting it on facebook. Laters! This entry was posted on 12.13.2011 by Ryan M Paxton. It was filed under Artwork and was tagged with 2D, cloak of the deep, concept art, digital art, drawing, ellen, fanart, female, figure drawing, finished piece, folklore, folksouls, jrpg, ocean, pilexated art, pixel, pixel art, ps3, sketchbook, sketches, video games, water.